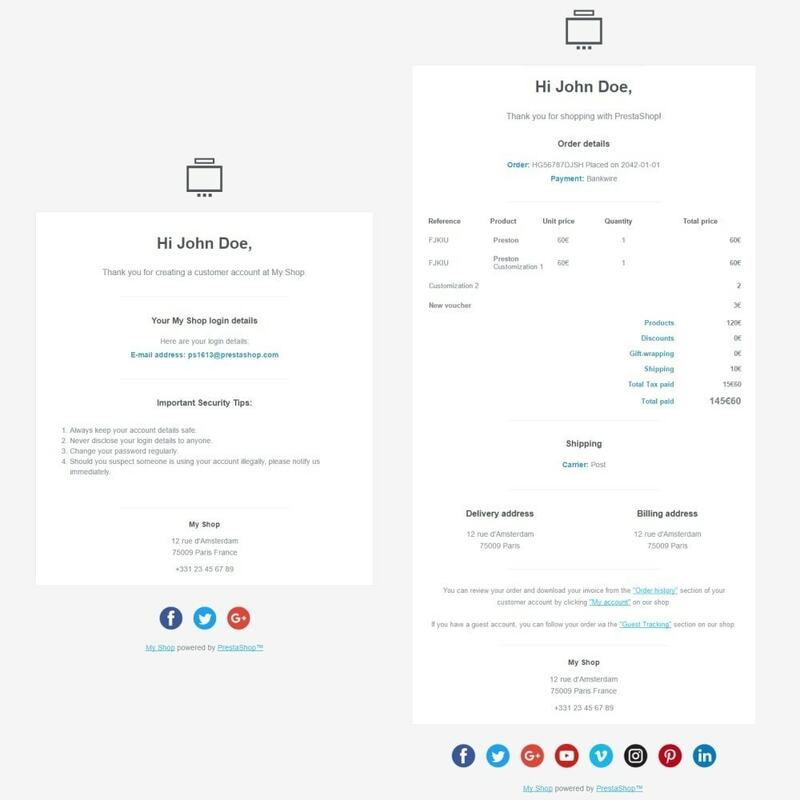 You customize emails to match your shop's template. You give a unique and professional image. You boost your community by adding links to your favorite social networks in the emails. A simple and convenient interface with detailed comments to configure your emails. Custom text: if you want, add a translated custom text in your emails! You can easily hide/display shop details and the 'powered by' message. Web font support (Google Fonts): use the font used in your website for perfect match! 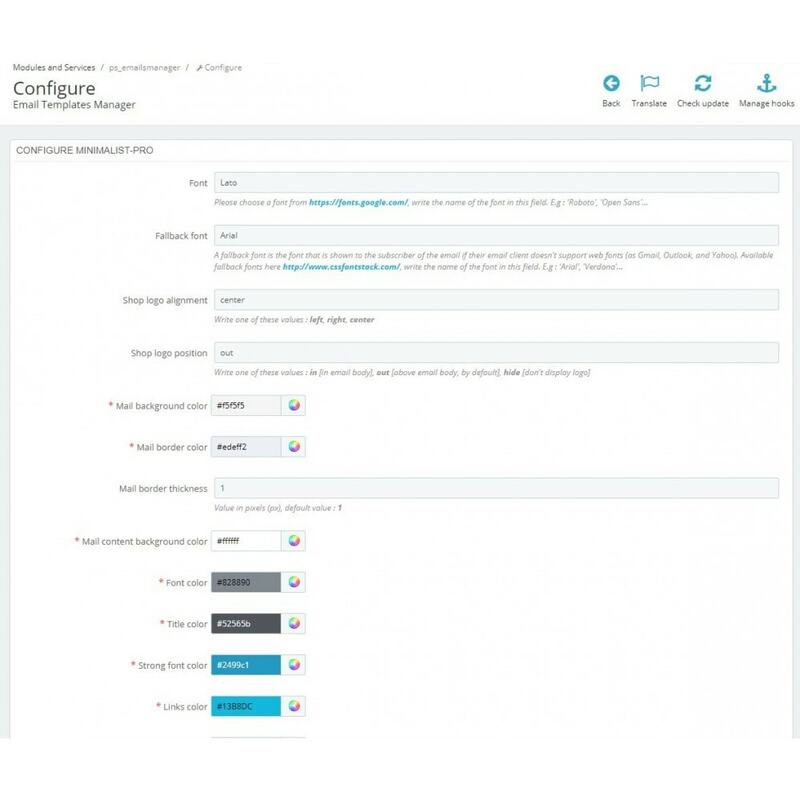 Customizable position and alignment: shop logo, custom text, social networks links and shop details can be quickly hidden, aligned to left/right…, positioned outside or inside the main bloc of the email. Your email will not look like others! Custom social network: need an unlisted social network, add it! Module very easy to use and configure. The support is excellent and you are served very fast. Thanks for your help DVIT. I purchased this module and had a compatibility issue with my site. But the developer is very helpful and has helped us repair some parts and we are now very happy. Thank you very much. The email templates are exactly as described. Great stuff! On top of that, the support of the developer is exceptional and communication is very good. Thank you!